Gorgeous! Take one Regolit lampshade, paint on the branches with watercolours or black ink, and (hot?) 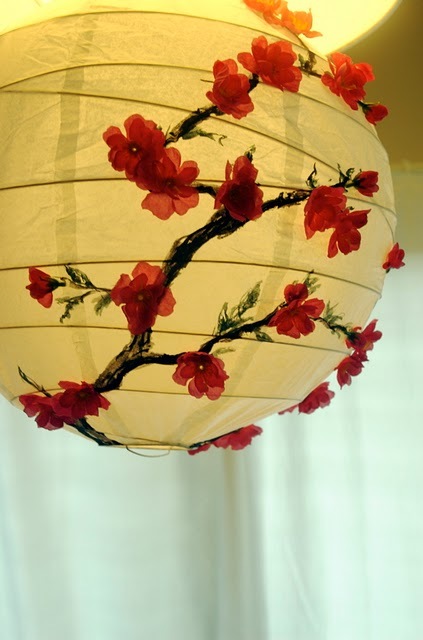 glue some faux cherry blossoms….what a lovely result.